Eachine is back again with a 250 FPV drone that is so complete… it’s ready to fly out of the box in just minutes. Fully assembled (unless of course you got the DIY version) using hobby grade parts its no wonder why the racer 250 is the #1 fpv drone on the market right now for everyone from beginner flyers to experienced pilots as eachine thinks of everything, always 1-up on the other guys with something extra like the cool red anodized front plate for the adjustable FPV camera, bright switchable led headlights and sick led back light bar. Quality of the Eachine Racer 250 is excellent, as you might expect looking at other eachine creations like the Falcon 250, the build quality is better than the average China no-name quads we see so many of recently. Now you may have read on other websites that the eachine racer 250 is not a quadcopter suited for beginners, which is just non-sense. The various resources that the community has already put together with complete step by step set-ups, repiars, upgrades and even mods is just one more reason to choose the racer. Be sure to check out the Racer250|Falcon club facebook group where everyone is more than helpful. Pre-tuned for steady flight directly from the factory, the racer also includes a usb flexiport for the ability to auto-tune (OPtune) or manually configure any aspect of flight control from your pc using the free open source openpilot (or librepilot) software. Easily repairable the racer 250 is built to be disassembled and reassembled for repairs and upgrades using eachine oem parts or hobby grade hardware that is affordable and readily available at many online or local hobby retailers. The full list of direct replacement components and upgrades for the racer below. No matter what level pilot or how much gear you do or don’t have, eachine has a racer kit for you. Beginning with the base DIY build it yourself kit to a full ready to fly assembled FPV version. Different versions of the Racer 250 that have been released so far. V3: CC3D Board added Flexi-port, support for 4S batteries, the ability to change color of rear (8cm) LED light bar. V4: CC3D Board with Flexi-port, support for 4S batteries, the ability to change color of rear (8cm) LED light bar and surface mounted ESC capacitors. V5: CC3D Board with Flexi-port, support for 4S batteries, the ability to change color of rear (8cm) LED light bar and surface mounted ESC capacitors. Now ships without center battery tray plate. I guess it had to happen eventually and it may not even be a bad thing. 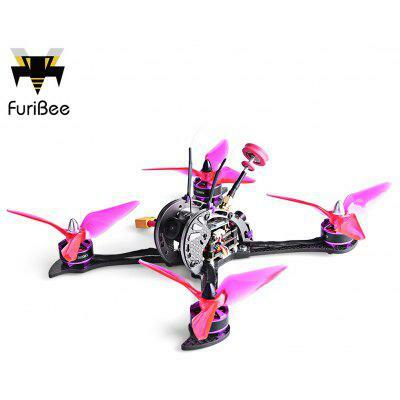 The Floureon Racer 250 doesn’t look to be just a clone but rather a re-branded eachine 250 racer Version 4. Parts will definitely be interchangeable and eventually this thing will turn up on Amazon and hopefully bring down the price of the racer. Check out the full kit but definitely save your cash and don’t buy it from GearBest as everything there is a day late and a dollar too much. It does come completely ready to fly however with full fpv out of the box. Transmitter and LCD screen are included! If you purchased the Racer 250 RTF kit, you can just charge it and go… the base settings are good enough to float around and get the feel for it. Once in the field, power on the system and ARM (unlock) the motors. Put the Throttle stick down to its lowest point. Pull the Lift stick all the way to the right side. Pull the Lift stick all the way to the left side. Short presses of the red button on the top of the VTX, this will move the OSD down slightly each time. A long press will change the video channel. As we mentioned earlier in the review, every part on the racer 250 was designed to be easily repaired by anyone. No special tools and very little experience are required as the break down is very simple. The racer 250 community is friendly and helpful, no matter where you are starting, someone is always willing to help… you will Not find this in other communities or groups based around any specific frame or brand. Customized Racer 250 Eachine Racing F3 Acro 6DOF Flight Controller (Direct Replacement). Customized Racer 250 Deluxe Edition Eachine Racing F3 Acro Full 10DOF Flight Controller (Direct Replacement). Replacement batteries for the racer 250 are affordable and easily replaced. Below are the stock details for the Eachine branded 3s & 4s racer batteries. You do not have to use these exact replacements, more on battery upgrades can be found below in the racer 250 upgrades section. Many people have written in and asked what is the best performing battery in the racer, ever if it is a bit more expensive. For this our choice is the Tattu R-LINE series available at GETFPV. These batteries consistently perform at peak dis-charge until the very end. Upgrading, Replacing or starting with the Bind N Fly version any 6channel transmitter will work. While the stock transmitter that is included with the RTF versions is just a re-branded version of the FlySky (and it’s not bad at all) you will definitely notice a difference upgrading to a better transmitter. If you are lucky enough to have a 3d printer, you can print repair parts and mods. Below are some of the various racer 250 files available. This is a “heavy duty” replacement arm for the Eachine Racer 250. For molded ABS the factory design works well but is very weak when printed. Designed this beefed up arm to be easily printed while remaining strong and lightweight. Cura shows this arm weighing only 2 grams more than the printable factory replacement. This weight is saved by doing away with the threaded inserts and carbon fiber spacers required on the original arms. Download this ThingUses either factory screws or #6 x 3/8″ directly into the plastic without spacers. Its a good idea to have a low voltage alarm to help find a lost quad, but a buzzer at the click of a button is alot easier. Check out eachine’s lost quad alarm if your having troubles locating your racer after a crash. The Racer looks crazy with its headlights at night anyways,, combine it with the alarm and freak people out. Once your ready to tune this beast for real performance you will need to connect to the CC3D board. The racer 250 comes pre-flashed with OpenPilot, and you can adjust the racer 250 for better performance just by going through the entire vehicle setup wizard and calibrate your equipment. how to flash librepilot to the racer 250. Download LibrePilot GCS & the CC3D Bootloader LibrePilot GCS (ground control station). LibrePilot Bootloader for CC3D. Open LibrePilot GCS Click on the Firmware tab or hit (Ctrl+7). Click the Rescue button. Connect the USB cable to the CC3D board. Click the Open button Locate the CC3D bootloader file (bu_cc3d.opfw) and click the Flash button. Bootloader Updated Disconnect the USB cable from the CC3D board. Click the Upgrade & Erase button, then Reconnect the USB cable to the CC3D’s port . Return to the Welcome screen Click the Vehicle Setup Wizard button to begin. Firmware Update Click the Upgrade button to proceed, check the box erase all settings. Board Identification Click Next and your CC3D will reboot . Input Signal Configuration Choose PWM connection. Vehicle Type Selection Choose Multirotor. Multirotor Configuration Choose Quadcopter X. Output Signal Configuration Select Rapid ESC 490Hz. Sensor Calibration Procedure Place the Racer 250 on a flat level surface, click the Calibrate button then hit Next. ESC Calibration Procedure Check All 3 boxes, click the Start button, then plug in the battery and listen for the Beeps. Output Calibration If your ESC’s have been properly calibrated they should display that by a set of tones when you plug in your battery. Vehicle Setup Wizard is now complete Click the Save button and the CC3D will reboot. Stable and steady, tried and tested by many is the Ali Green .uav file, an experienced pilot and master of the librepilot, Ali has perfected the tune specifically for the eachine racer 250. The difference is almost night and day as your racer will feel like a totally different machine. Enabling OneShot (PPM receivers only) this is not a simple process and requires you to flash the esc firmware, throttle response will be much tighter you will feel a difference right away. Running with hobby grade equipment is all about having the ability to not only repair your racer, but upgrading the components as-well as your skills get better. The entire point of all this is the FPV set, if your flying by yourself or with friends a good set-up is key to flying like a pro. These 5.8G Aomway 4 lobe antennas look good, perform better and overall just last longer on your racer. The stock mushroom is a joke. Right out of the gate no matter what kit you purchased, a pair of FPV goggles is what this machine is all about. Eachine has some affordable headsets specifically designed for the racer 250 and fatsharks are down to $165, there is no reason you shouldn’t get something decent. Let a friend check-out fpv or maybe your just not trying to look like the lawnmower man anymore (google him), an lcd monitor with “No bluescreen” is must have gear if your serious about fpv. 5″– 7″ LCD screens are so cheap, you can rig up almost anything that has a video input, as long as there is no “blue-screen” you are good to go. Spend a little more and get a screen designed for fpv, with built in video receiver, auto channel search and battery. Upgrade the camera on the Racer 250 NOW! So I flew around for months happy as can be with the view through my VR-007’s and the stock eachine fpv camera, before a destroyed my stock camera so much that I needed a total replacement. Originally I just wanted something quick and direct plug n play to which eachine has a couple crappy offerings with that stupid little tiny white plug… that is Not what we will be recommending here. What there is still more runcams? Yes… you know that little platform on your racer that you have been strapping your cellphone to? Well, dump the iphone and forget the overpriced gopro’s and check out the RunCam2 HD. Some other nerd can bore you with the specs, I just now this is the only action cam you should be considering for any quad just stop wasting time. The Racer 250 uses two clockwise(CW) and two counter-clockwise(CCW) props. Propellers are classified by length and pitch. For example 9×4.7 propellers are 9 inch long and has a pitch of 4.7. Generally, increased propeller pitch and length will draw more current. Also the pitch can be defined as the travel distance of one single prop rotation. All in all, higher pitch means slower rotation, but it will increase your racer’s speed which will also use more power and drain the battery faster. Note: Even props of the same size and manufacture tend to be different, not all props are created equal. When you find a size that you like, try out a few brands and see the difference. Sad but true, what came with your racer is a step away from walmart toy status… These batteries are junk and the charger is slowly killing them. Batteries are best from a company that specializes in high quality. The “c” rating on a battery stands for capacity, the maximum safe continuous dis-charge rate of a pack. Someone else can bore you with the technical details, just know that if you see 10C on your battery, it means that it can be discharged at 10 times that pack’s capacity, so that faster you can get the juice out, the more power you can have. Remember this and your batteries will perform as expected and last. Once you have a nice battery or two, and you will want to take care of them, like little gremlins, lipos can be nasty… care for them, monitor them closely and only charge/dis-charge them with a good balance charger. Mess up feeding these things and you will have problems, I keep mine in an ammo box while charging and watch the status from my iphone. Check-out our article on good chargers and why you need one The skyrc imax B6 mini is awesome and will even connect to your phone. Once every hears about a good battery, it gets really hard to find them in stock at a good price so below listed are a few of the better manufactures I have had a good experience with. Keep your eyes peeled and your bound to score a few. So the “s” stands for how many cells your battery has, the more cells, the higher maximum voltage output. Currently the 3s included with the racer 250 is 11.1v, we would like to kick that up to 14.8v and get the juices flowing though this thing. You’ll notice a massive difference in how much “punch” the motors will have. Next to enabling OneShot, this is the 1st step to a faster racer 250 and the most bang for your money. The cc3d flight control board that comes in the racer 250 is a good start, but its missing a few options the more recent boards have, mainly the ability to add a gps system. The most recent additions to the cc3d family are the Revolution and the revo mini. The Revolution is a flight control board with autopilot, intended for multirotors. It is a full 10DOF with gyroscope, accelerometer, magnetometer and pressure sensors, the mini is about 1/2 the normal size. Naze32 boards come in all flavors, specific for budget, size, flight types like acro or racing. The naze runs BetaFlight or CleanFlight. “With great power, comes great ~ FUN! The Racer 250 is more than capable of straight-up speed and even crazy acro flight, unfortunately the stock power system is limited where its at, and after you have had your racer awhile and your feeling comfortable controlling it… it begins to feel a little sluggish leaving you just wanting more. Does more power mean less flight time..? Many people ask, why I even bother upgrading my racer so much? My answer is always… my racer 250 is my daily driver, the work horse in my fleet that takes all the abuse I can throw at it. If I want to race, flip or run waypoints, my racer can do it all on the CHEAP! The RS2205 brushless motors have a light weight design, using Japanese bearings and high strength N52 Neodyum magnets for insane performance. note: These are the same motors that 3 of the pilots in the World Drone Prix used. So 12A with oneshot is nice, but 20A is even better… let’s take a look at two easy direct replacement esc’s that offer even more power and less weight. 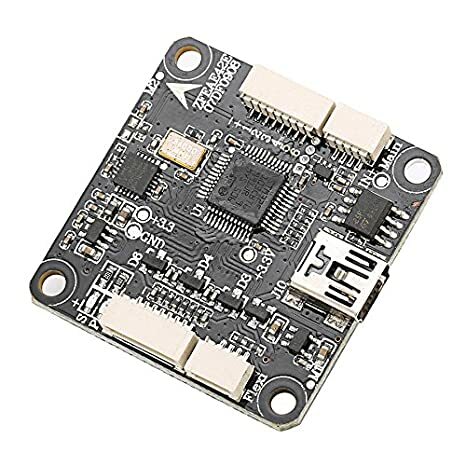 The eachine Falcon 250 comes stock with Flycolor Fairy 20A ESCs that can be a cheap direct replacement for the racer’s 12a’s, OneShot compatible and ready to go. The FVT Little Bee’s are pretty much the standard for high performance mini quads. OneShot ready, BLHeli firmware and weighing just 6 grams, these are really your best option if you are replacing all 4 esc’s. Ready to take your racer 250 to the next level? By taking advantage of some of the various racer 250 mods available, now you can easily add a 1 axis gimbal upfront, protect delicate electronics and even pimp out your racer with printable parts. Looking to move that VTX off the top plate and get that battery out from inside your frame so you aren’t smashing up your flight controller every time you bump into something? Here’s a great way to accomplish all the above and add a heat sink to your VTX to help that little guy not get so darn toasty! You will also learn how to cut away the front face-plate to increase your camera angle for a more pleasurable fpv experience. As well as rotating your CC3D board 90 degrees for much easier access to the usb port! There are many other modifications you can make to you Eachine Racer 250 but this is a great start without to much difficulty. So your tired of starring at the lower half of the horizon? Maybe its time to add a little tilt upfront and steady that first person view, besides the anodized aluminum face plate weighs too much anyways. It’s pretty simple, just open GCS and under the configuration tab find Camera Control Stabilization and enable it. Under the Output tab you can adjust the value/rates for the servo (MIN:1060, MID1499, MAX:1980). Now set the Update Rate (50 for analog servo, digital up to 330). Restart the CC3D and you have a stabilized gimbal, alternatively you can just run the servo on a free channel and manually control it. The Racer 250 | Falcon facebook group – huge thanks for all their help and support, the biggest and best spam free facebook group with more help for the racer in place place that you will ever see anywhere else. REV FPV Youtube channel – The best and most complete set-up, mods and more videos about the racer 250… YOu really need to watch all these. Racer 250 club – The most complete setup manual for the eachine racer 250… dump the official eachine manual and start here! Really well done! Amazing Job!! thanks for that information, really i think a lot of people just started in this world and with this drone, that website its amazing for understand how can do, and how upgrade safety his drone. Desde que lo compre mi pantalla fpv no se conecta con la camara del eachine alguno sabe porque gracias. Se supone que con dar al boton rojo de la pantalla deberia valer no. lo que la pantalla FPV compró? This was a really great guide, but I found it looking for tips on propellers. Unfortunatly that seems to be the only thing this guide lacks. No big deal, this page is bookmarked and will be used for reference as Im sonn getting this racer. we’ll get started right away with a new section on props… thanks for the tip! Where can we buy the pcb board for er250? Thanks, but it’s different from the Original PCB. I’m searching the original for easy replacement. I broke the PCB and contacted both Eachine and Bangood, there is no direct replacement available, they sent me a new quad in the end. Can i fly the racer with a 3s 2200mah Batterie? I’m not sure you could get it to fit without modding it in some way. Then it may be a little heavy for the racer. I use Zippy Compact 3S 2200mAh 25C from Hobbyking. Very cheap, not so heavy (163g instead of the 119g for the crappy 1500mAh Eachine). Very useful information. I’d like to try out the gimbal mod but can’t figure out where to the connect the servo to the board. Can you please advise? Per the pic, the board for the 250 racer doesn’t have pins, which is why I am stumped as to how to connect the servo gimbal. Awesome write up! Lots of good info! I got the F3 naze32 to replace the cc3d that comes on the Eachine Racer. Can you give me any insight on how to do this? it looks like like the pin layout is the opposite of each other so I doubt it’s just plug and play. Any help is appreciated! I will try to modify my Eachine Racer based on this nice guide. Ive been trying to get an acro flight mode on to my Eachine Racer 250 and it doesnt seem to be working so can you please make a tutorial on how to do that. I am also having trouble with acro flight mode, I flip the switch and don’t notice a change in flight. I am facing the same issues with the flight mode toggle, there appears to be no noticeable difference between them. I am was under the assumption that the third position would be rate mode. Please provide some details regarding the flight modes and why rate mode is not accessible. So, it appears that the RTF version comes pre-configured with Altitude flight mode for all three positions. You can change this configuration from openflight/libreflight (I used libre but the interface is pretty much same). I have the same problem: No difference in flight modes. Odd. I would like to know the default behavior of this thing before I flash anything. Is there anything I can do without flashing? Is there anywhere I can find the rubber stabilizing vibration rubbers for the top flight cam? I have lost a few of them in a crash. Thank you! I’m always referencing to this article. are these what you are looking for Paul? I imported UAV settings from this site. But after that I cant arm the quad any longer. I have put the arm settings back to yaw right and 30 sec as in default but stil it wont arm. Luckily I saved my default UAV settings first and when I went back to these I could arm again. Does anyone have an idea what this possibly is perhaps ? Join our facebook group where we can help you. The UAV files have also been updated with ALI’s latest settings. Where is your Facebook group? I think it will not arm after because the imported ALI’s UAV file will change it to one shot. I ended up making screenshots as well and did so manually. Glad i did , a great improvement! THX. After that it took me (3d noob) about 20 Lipos to find out it wasnt me that couldnt recover from rolls and flips properly, but a bad motor. Replaced now and everything fine. Facebook gives me the creeps. THX for the offer though. How do you upgrade to the runcam swift? what needs to be replaced wiring wise etc? Looking to upgrade into a better camera for more visibility. Just wondering, if you buy the ARF version, is the flight controller programmed? Or does it need to be set up before I can fly after installing my own radio system? Eachine Lost Alarm comes with a 4 pin cable which purpose is not mentioned in the manual , so connect it to the Lost Finder and J16 of the PDB board , just plug and play ! Does anyone have the original boot loader, firmware and configuration/uav or know where I can get them? Were did you plug connector on upgraded ECS? There is only three places to soil wires on the board. Hi does anyone know where i can buy the front headlight cowel (red ) and the top board / plate for the mainframe please ? i have searched the net for the past week endlessly looking for these two arts but cannot find them for sale anywhere, surely they must be available to buy ? thanks Chris. Thanks for this informative website and useful resource. I got my Racer 250 From Bangood and used this site to help get me up and running. I wired up my receiver PPM Signal pin 8 as instructed on your video. Once I flashed Librepilot and ran it, noticed that it only sort of worked if I selected PPM one shot pin 8. But had problems with the transmitter and channels 5 & 6 for lights and accessories. I looked up what to do for no one-shot PPM on the Librepilot website and it said use pin 3 for signal. I tried this and the result was worse, got nothing. So am left in a quandary. I have not gone any further and my machine sits in a cupboard until I sort this out. I have not flashed the ESC’s but will do if that is the only way to sort out this issue. But even then I am seeing much ambiguity on the forums with this once simple process too:( My machine as far as I know is Rev 5, but do wonder if the ESC’s have been updated, as how can my machine read the One-shot data changes without being ready to accept it? That’s why I have stopped as I suspect this may be only partly working and if I pursue this option may end up damaging my machine. As so many folk have followed the comments advice on Banggood and other forums and gone the FS-IA6B route for the Racer 250, think it would be nice if you could update your advice for this group of users. Many Thanks. I have placed many orders after my original purchase using info from this site. Hope someone can help me, I am looking for an adapter spare part. The adapter is for the cable between the flight controler (CC3D) and the receiver (FS-IA6). The adapter is mounted on the receiver pins. I need a Product ID: number of that little adapter, or that spare part containing the adapter. I have tried in vain to contact Banggood’s customer service, but they could not help me, so PLEASE if you know what the adapter’s name or product id’s, or better yet, have a link, I will really be glad to hear from you. I will try there too. Is it possible to post a picture here, then i can uploade picture of the little adapter i am looking for? A great big THANK YOU to RedEyes and Santha József for helping me. Today I received the little adapter that I here in this forum, asked for help to find. Santha József has sent it all the way from Hungary to Denmark. Thanks for the website. I have purchased this racer with a Naze 32 f3 CCD3 , flight controller f3 6DOF and it is very unstable, spinning clockwise, drifting backwards and to the right so I’m thinking about flashing the board . Never done this before so am looking for advice on selecting the correct firmware and settings.. Would you be able to help or can I simply use the instructions settings and firmware. Thanx! I recently bought this kit and have a question about connecting the motor to the esc. I have couple rc cars and all brushless motor has 3 wires. Each wire should be soldered on the designated connector on the esc. That is why each wire has different color or marked ‘A’, ‘B’, and ‘C’. But the motor in this drone kit has all three same wires (black color) and there is no mark or letter. For a drone brushless motor, doesn’t it matter where the wire is soldered on the esc? In advance, thank you for your guidance and really appreciate you posted a very nice article about Eachine racer 250 drone. good explanation & tips and this will give me a guided on this new world on racing drone.. I lost the cable that attaches the CC3D/NAZE32 flight controller to the FS-iA6 Receiver. Can anyone tell me where to get one please? Hello. Purchased a Eachine racer 250 for my son to play with. All good and having fun. Wanted to do FPV but the video transceiver wasn’t working. Bought and installed a new one of them along with a better camera. Once together we cannot get it to power up. It has a Flysky FS-i6 radio. We decided to download the Libre pilot and go through its set up wizard. No luck as we cannot get the controller to work with the drone. During the set up the motors all turned fine but nothing later. It is a bit confusing with some of the transmitter/radio calibration as when the wizard tells you to move the sticks then levers then some sliding buttons we don’t have. Really at a loss and have spent a couple hours on this now. Flew great before and all we added was the video and camera. Plugs and wires all good. Again doesn’t seem like communication between drone and radio. Any suggestions? Thanks. I get my eachine racer 250 with NAZE32 but I experience moving the PID and now it rises … oscillates and does not rise … what are the factory values and how do I replace them ??? ayuda…modifique por error los valores PDI de eachine racer 25o y ahor ano se eleva.. solo tiembla… cuales son los valores de fabrica?? Compré la controladora de vuelo “stm32f303 F3 Racing Deluxe 10D versión personalizada para Eachine Racer 250”, fiándome de los comentarios en la página de bangood, pero creo que hice la peor compra que se podía hacer. El servicio técnico de dicha página, no sabe los modos de vuelo que vienen preprogramados ni como seleccionarlos. La controladora viene tan cerrada o capada, que no se puede ni reconfigurar con el CleanFlight, o por lo menos a mi no me deja. Lo único, es que el CleanFlight, sí la reconoce. ¿Sabría alguien que la haya probado, explicarme lo que bangood no sabe decirme? ¿Modos de vuelo?, ¿Como se seleccionan en el Eachine i6 2,4G Transmitter. (SWC) ?, o por lo menos ¿como reprogramar la controladora con el CleanFlight ? HOW MANY TIME IT LAST ? I purchased the Eachine 250 but was unable to fly. All switches in up or forward position. Props were all pushing air. It just kept flipping over. Then when charging the batteries they did not have enough power to lift the drone??? They weren’t hot after charging but got very swollen! Any advice will be helpful.